This is a rectangular Los Angeles Times porcelain sign. This particular Los Angeles Times sign is red, yellow, and blue. 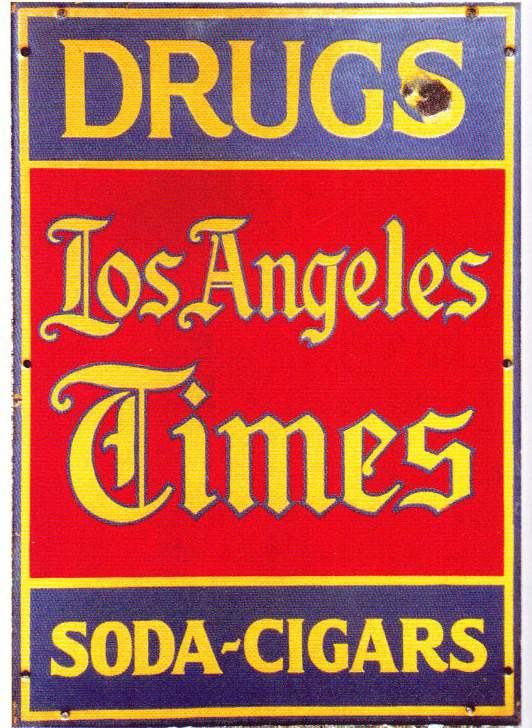 It reads, “Los Angeles Times, Drugs, Soda, Cigars” and features a thin yellow border.